As writers, we know the importance reading has made in our lives. That is why holidays that support reading for kids are a big deal with me–well, that and the fact I’m also a teacher! In the United States, we celebrate Read Across America Day annually on March 2. This coincides with the birthday of Dr. Seuss, one of the most beloved and iconic children’s writers and perfect for any read-aloud. Actively Learn–add PDFs of your choice to a library that can be annotated, read, and shared. Internet Archive— Internet Archive offers over 12,000,000 freely downloadable books and texts. There is also a collection of 550,000 modern eBooks that may be borrowed by anyone with a free archive.org account. Many Books–Over 33,000 ebooks that can be browsed by language, author, title. Unite for books (free) — gorgeous, easy-to-navigate site. thank you most kindly once again. You are just great! Thanks, Anne. Reading has made a big difference with both of my kids so it’s a soft spot with me. Thanks, AJ. Lots of ways to save on reading! Thank you for listing all the resources! 🙂 I’m so glad to have this information. Some of these free digital libraries have amazing books. It saves me a lot of money. Fantastic resources! My youngest daughter volunteers for our county library. She is looking forward to the festivities they have planned on Saturday. Oh that is wonderful. Libraries do such a good job with this sort of event. I have no grandchildren either. Sigh. I don’t even think my two adults kids are close! What a great read, Jacqui and what a great resource list. I absolutely love it and love that we are soul sisters in a way too since I worked for more than 15 years as a paraeducator, aide and uncertified teacher, all as a substitute for special needs children, my heart’s work. This was intentional as I didn’t want to have to get involved with paperwork and meetings and having to put children into judgments etc. about their lives. Each student was precious, and I have so many good memories of my times with them. I am 77 now and have suffered from PTSD which is quite severe and apparently permanent, but I still tutor on my own and sometimes read as a volunteer, or I try to mentor/advocate to foster children as a volunteer or do art, and now I am contemplating working with veterans the same ways too. I am looking forward greatly to getting to know you better as one of your subscribers. You know, i was thinking how I used to teach illiterate adults how to read, and I could not believe that many of them had gotten all the way through Jr. College and could not read at the 2nd or 3rd grade level, but they WERE anxious to learn, even though embarrassed that they did not know how. And they tried harder than any students I ever worked with. I had to teach them a lot more than reading, for you don’t realize that if you cannot read, there are so many other things you absolutely do know know or understand about life. So I did collages with them, having them do “visioning boards” where people learn to put down their goals and dreams using collaged magazine pictures and words. 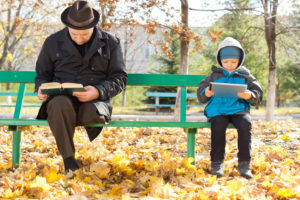 They enjoyed it, and somehow connecting the words and pictures helped them with their reading more too, as well as giving them more experience with becoming more skilled at job interviews, learning how to present themselves in public and stay out of abusive and otherwise bad relationships, and many other life skills that we might take for granted. So I don’t regret any of the work I have done either through my lifetime. It has all been good. Thank you very kindly. Nice to meet you, Anne. I look forward to chatting more. About teaching illiterate adults–what a great point. I can only imagine how gratifying that would be to open doors to them they thought never would be available. Kudos to you! Thank you most kindly. It is good at 77 to have people I enjoy hearing from and I put you on my good list! Good for reading at any time, Anne! There are some really great reading sites on this list. Enjoy! I’m certain I shall, Jacqui. My pleasure. It may be more suited to youngers but we-all seem to have a few of those around us! My pleasure, DG. Are you now writing mostly on Sisters of Fey? If so, I’ll have to follow! Thanks for clarifying that. I have missed your posts so will be glad to see you back. I have a quiet month coming up myself–May–so I know what you mean! I love reading so this is a big day for me! Jacqui Murray with some great resources to ensure that your child and as many children as possible will be reading on Reading Across America Day on March 2nd. Some great resources. Thanks. On March 7th is World Book Day and is recognized here in Spain. I have been invited to do presentations at an International School near where I live. Thanks for letting me know that. I’ll include it next year. It is so easy to find a book we like. And free! I love it. It speaks to an equity that simply didn’t exist before. Next time you have the grandkids, set them lose on these sites. https://www.storylineonline.net/ is very visual. https://www.uniteforliteracy.com/ is so beautiful, easy to navigate. It might be perfect for your kids. What a comprehensive list! I hope young readers feel inspired and somebody tells them about it. One thing I like about schooling here is the way children and their parents are motivated to read a story everyday and record the questions and answers every day, to submit as a part of homework on every Friday. That’s nice. Once a week-how wonderful. Wow! So many incredible resources for young people today, all easily available! As always well-presented and collated. Where do you find all these, Jacqui? A good side effect of digital–easily read books. Thank you for putting together an impressive list of kid lit resources. Anything we can do to get kids to read is a great idea. I know there’s a reader in everyone. We just have to find the key to unlocking it. Here are a bunch of keys. In England we have World Book Day on the 7th of March, where schools celebrate literature of all kinds and the kids go in dressed as their favourite literary characters. The two holidays seem related in theme as well as occurring in the same weak. Thanks for letting me know. I’m going to mention it next year. Thanks for the lists of resources, Jacqui. These are great. 🙂 Happy Reading! Getting kids to read is often about not giving up. There are so many online free resources (a few for a fee) that make that a reality. Excellent choices and resources, Jacqui. Thanks, Jennie. Just in case you need these! oh wow, that’s an impressive list. I’m going to check them out – i’m saving the link to this post since i know itll take me a long while to find one i enjoy. Hopefully my kids (please let at least one) will find reading fun. It’s my teaching list. I’m always amazed that my students love the one I almost dismissed. different tastes for different people. You’ve done a real service, Jacqui. The links will be helpful to many people. Great photos. They tell a sweet story. Thanks, Neil. I use this list with students. Rarely do they not find exactly the right book. I knew you’d like it, Norah. You probably have a similar list! Thanks for compiling this comprehensive list, Jacqui! It’s wonderful! a terrific list of resources Jacqui. so useful. you’re such a wonderful source of information for readers and writers. I am so sad when I meet kids who don’t like reading. What a loss for them!